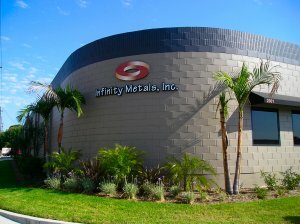 Since 1996 Infinity Metals, Inc., located in La Habra, CA, has been instrumental in meeting the needs of developers with steel erecting services for steel-frame building construction. We specialize in installing metal decking for buildings and structures that have steel frames or metal buildings. Our strong values, dedicated staff and perfect size complement our belief that from concept to completion, every project is personal. We take great pride in our ability to perform and support all of your commercial building needs. We offer accurate and complete detailing and coordination, supplying you with detailed construction documents. We are fully insured and bonded. If your looking for professional, fast, and OSHA compliant Erectors make Infinify Metals your first point of contact.